Below is a Guest post on Alex Bellos’s maths blog. In her new book Mathematics and Art, historian Lyn Gamwell explores how artists have for thousands of years used mathematical concepts - such as infinity, number and form - in their work. 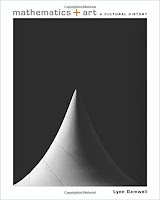 Here she choses ten stunning images from her book that reveal connections between maths and art. 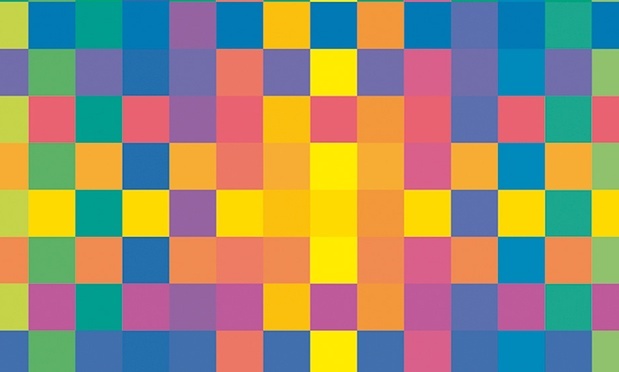 Detail of Karl Gerstner’s Polychrome of Pure Colors. Printer’s ink on cubes of Plexiglas, 1 1/4 × 1 1/4 in. (3 × 3 cm). ea., fixed in a chrome-plated metal frame, 18 7/8 × 18 7/8 in. (48 × 48 cm) ea. Courtesy of the artist. When I was a graduate student in art history, I read many explanations of abstract art, but they were invariably inadequate and misleading. So after completing my PhD, I went on to learn the history of biology, physics, and astronomy, and to publish a book detailing how modern art is an expression of the scientific worldview. As a lecturer at the School of Visual Arts in Manhattan, I wrote this book for my students, such as Maria, who told me she was never good at history because she couldn’t remember dates, and for Jin Sug, who failed high school algebra because he couldn’t memorize formulae. I hope they will read this book and discover that history is a storybook and that math is about captivating ideas. This is a cultural history of mathematics and art, from antiquity to the present. Mathematicians and artists have long been on a quest to understand the physical world they see before them and the abstract objects they know by thought alone. Taking readers on a tour of the practice of mathematics and the philosophical ideas that drive the discipline, Lynn Gamwell points out the important ways mathematical concepts have been expressed by artists. Sumptuous illustrations of artworks and cogent math diagrams are featured in Gamwell's comprehensive exploration.